You’ve seen him dish out lifestyle tips on ABC’s The Chew and serve up fashion advice on TLC’sWhat Not to Wear. 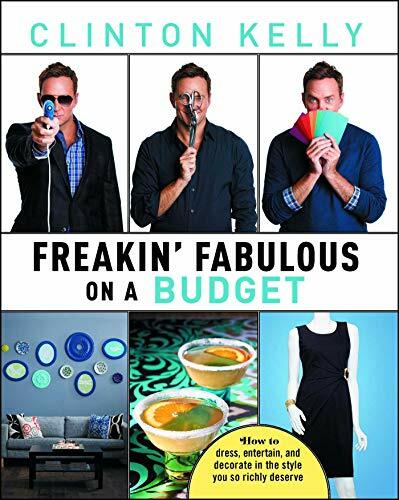 Now Clinton Kelly—America’s favorite expert on, well, everything—applies his brilliant sense of style and humor to all aspects of life, from dining and entertaining to decorating and etiquette. And he does it allwithout spending a fortune! 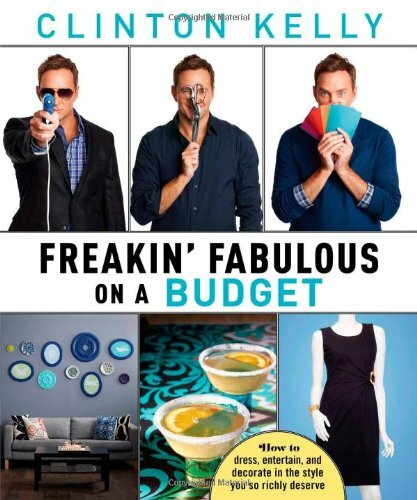 In this ingenious new collection of must haves, whatnots, and need-to-knows, Clinton Kelly proves that it doesn’t take a lot of money to look like a million bucks. In fact, you can dress, entertain, and decorate in a way that makes everyonethink you’re filthy rich! Put together beautiful designer looks at a fraction of the cost! Stuffed Artichokes! Beef Bourguignon! Chocolate Soufflé! Throw fabulous dinner parties that won’t break the bank! Make your own “mercury glass” lamps, haute-couture napkins, high-end centerpieces, and MoMA-worthy artwork! Packed with full-color photos, bargain-hunting tips, posh party ideas, easy-but impressive recipes, dazzling home projects, and everyday indulgences that don’t cost a dime, Clinton’s book is the perfect fit for any size bank account. Now that’sfreakin’ fabulous!